Racket customisation is a very technical area and requires the person performing the job to understand all aspects of the racket and how it performs. Any changes to the make up of the racket will change the performance and not always for the better. While every care is taken when manufacturing rackets, if you have 2 identical rackets in your bag, chances are they weigh and balance slightly differently. 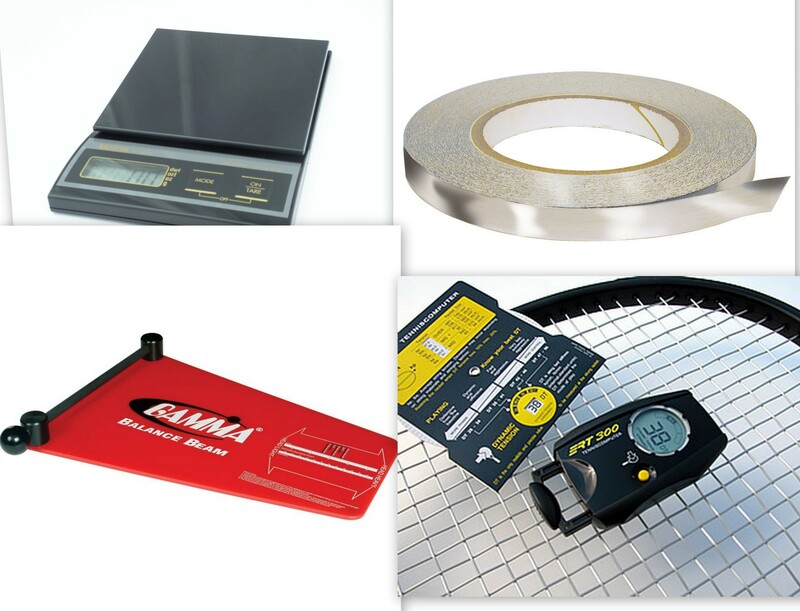 All good racket shops will sell 'lead' weight but knowing how and where to apply the weight is the important part. The most important area of racket customising, when matching rackets, is Swingweight. This can only be done using a high spec machine, by someone who understands all areas of a racket. The Prince Tuning Centre (PTC) allows you to measure the three customisable characteristics of a racket, weight, balance and swing weight. Adding weight for power or control. Balancing the racket and matching the weights of your rackets if you have more than one. It is very rare that 2 identical rackets that you buy in a shop will weigh the same. Professionally increasing the grip size (and not just adding extra overgrips). Checking and Monitoring the Dynamic Tension to ensure that every restring is at exactly the same tension so there is no adjusting required on your part. Dynamic tension is the actual tension of the racket once it has being strung. You may ask for 60lbs tension and the stringer will string it at that, but the reality is the tension is lower after the strings have gone through the process called 'creep'. This tension, once 'creep' has taken effect, is called the dynamic tension. This is the tension you play with and I will ensure that after each restring all your rackets will have the same dynamic tension. 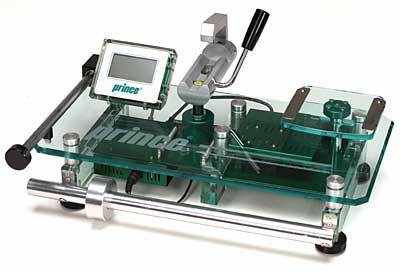 Find out more about the Prince PTC here.